Category 1 (No AMD): a few (5-15), small (<63µm) or no drusen without pigment changes. The importance of daily Amsler grid monitoring should be emphasized to maximize the opportunity to detect early development of wet AMD in either eye. 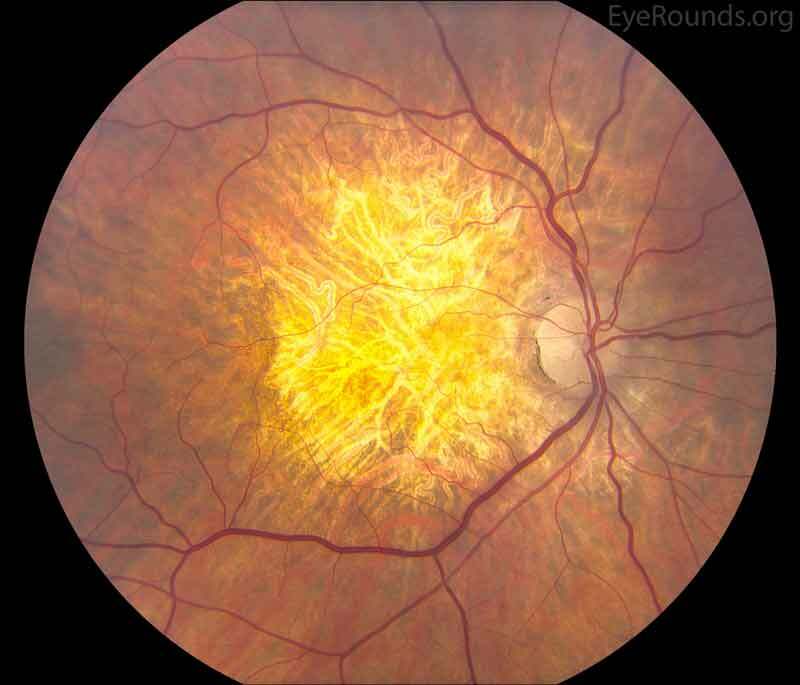 The benefit of micronutrients (e.g., AREDS vitamins) in delaying the progression of AMD has been shown in patients with intermediate and advanced unilateral disease . Patients should be informed of the association between smoking and an increased risk of developing AMD . Figure 1. 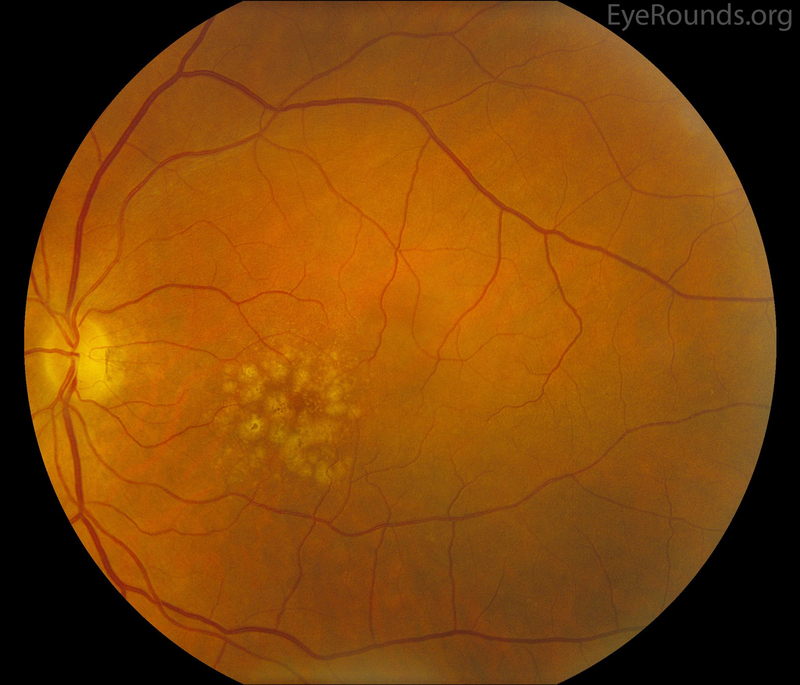 These fundus photos show early AMD of two different patients. 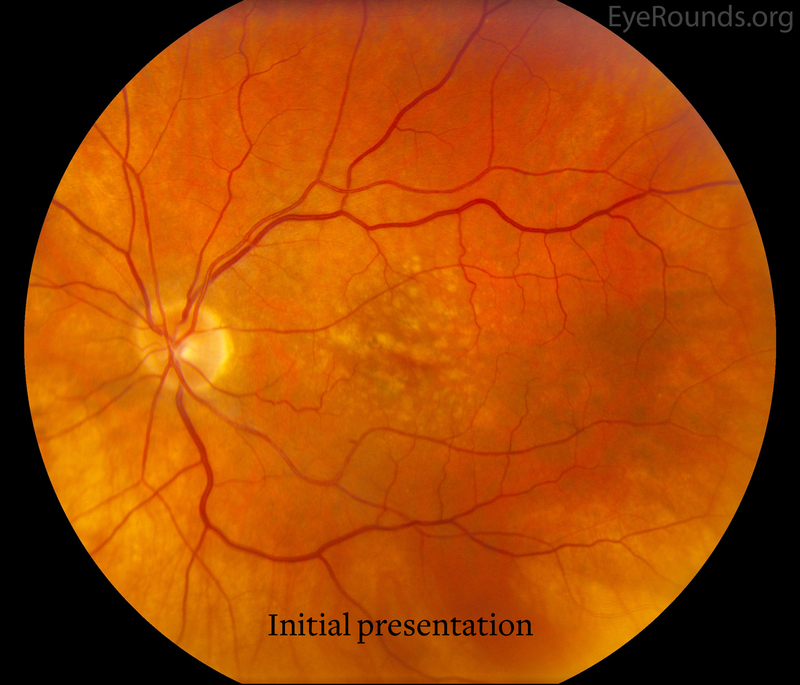 (Left image) There are several (>15) small hard drusen in the right macula. 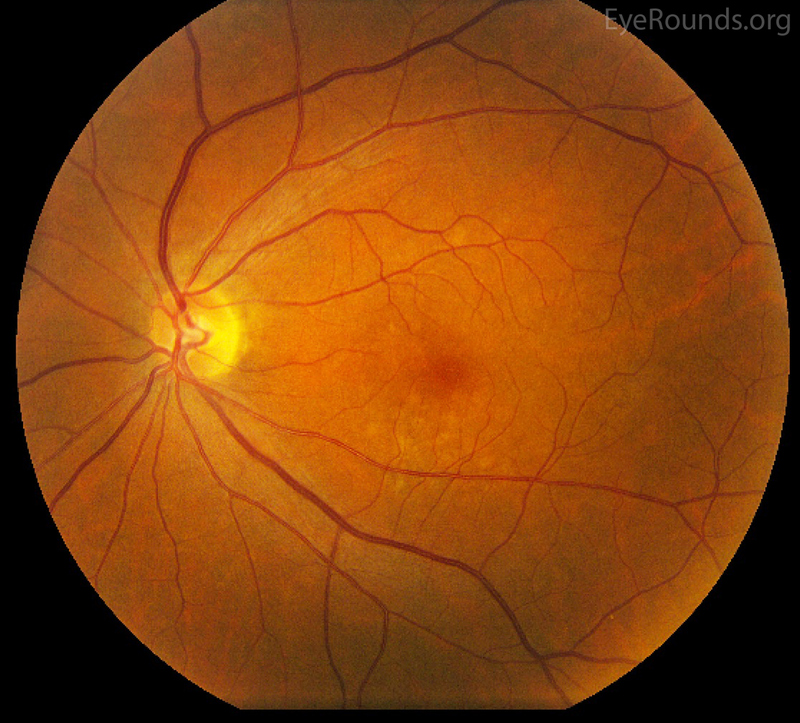 (Right image) There are a few (<15) intermediate-sized soft drusen predominantly in the inferior left macula. Figure 2. 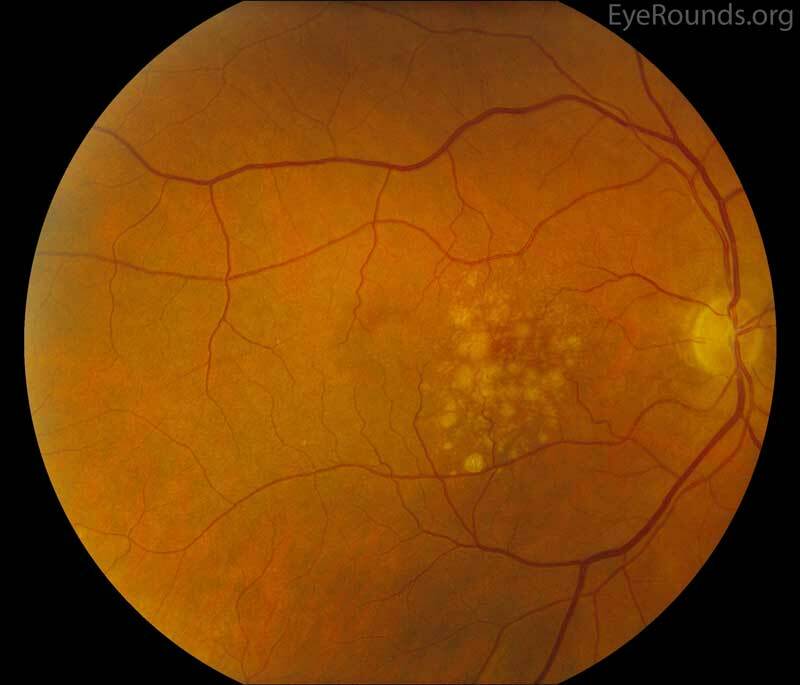 Both eyes demonstrate intermediate AMD with high risk (i.e., large, confluent, soft drusen) non-neovascular, age-related macular degeneration. 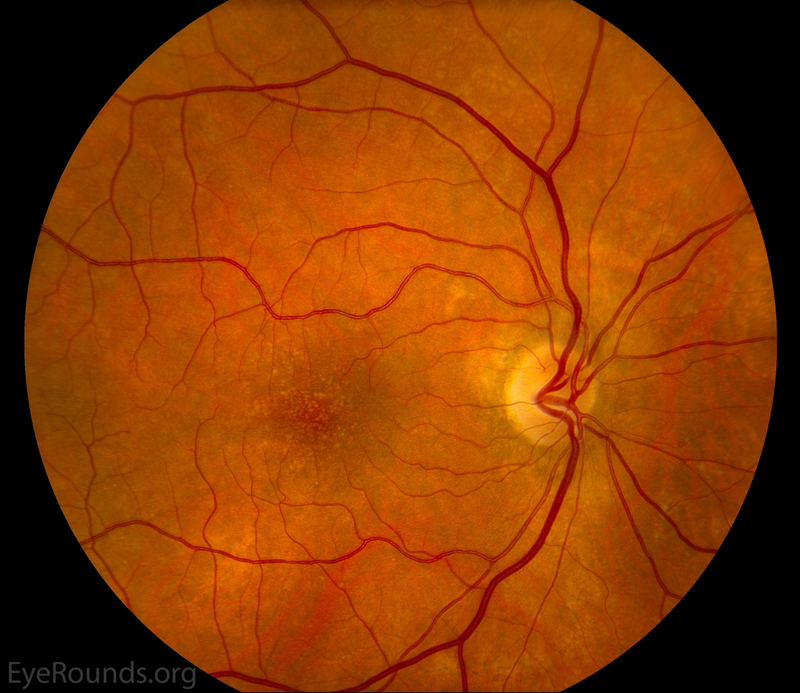 Ultimately, the patient progressed to category 4 AMD with development of a choroidal neovascular membrane in the left eye (not shown), which required serial intravitreal injections. Figure 3. 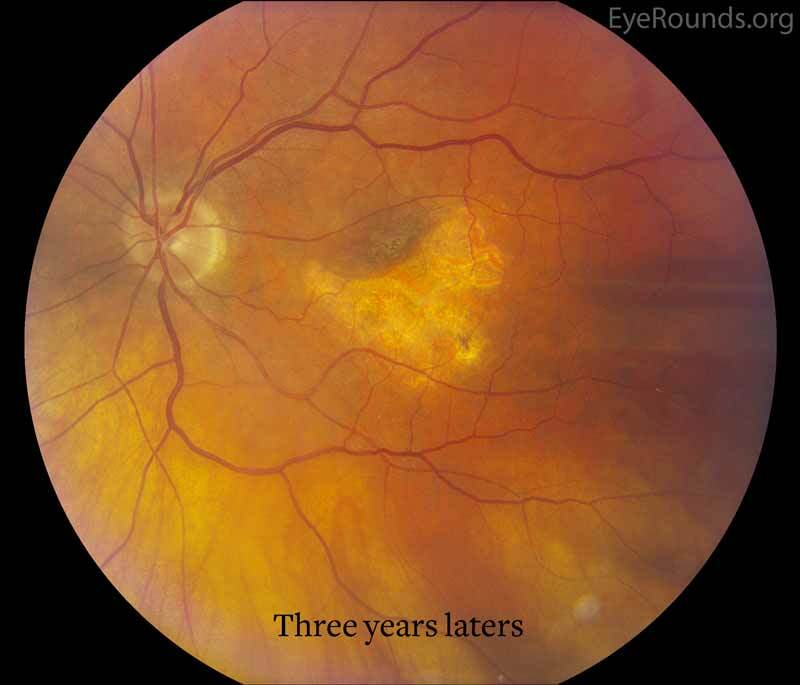 (Left image) Dry, high risk (large, soft drusen) Category 3 AMD on initial presentation. (Right image) Three years later, there was evidence of geographic atrophy only in the left eye, and the patient had significant vision loss in the left eye. Figure 4. Non-exudative macular degeneration with extensive geographic atrophy in both eyes. 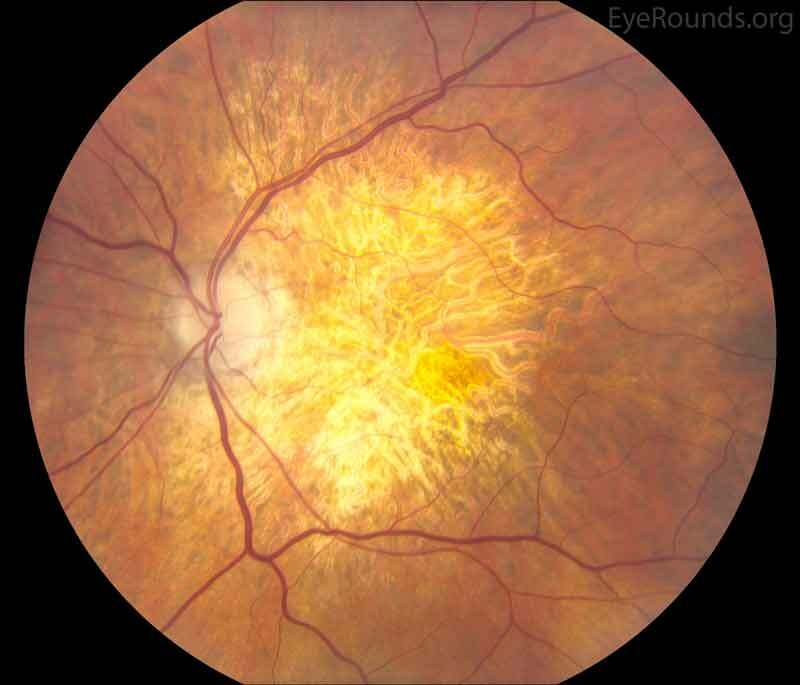 Since this patient had advanced AMD in both eyes, he was not an AREDS vitamins candidate.